In a large nonstick skillet heat oil to medium heat. 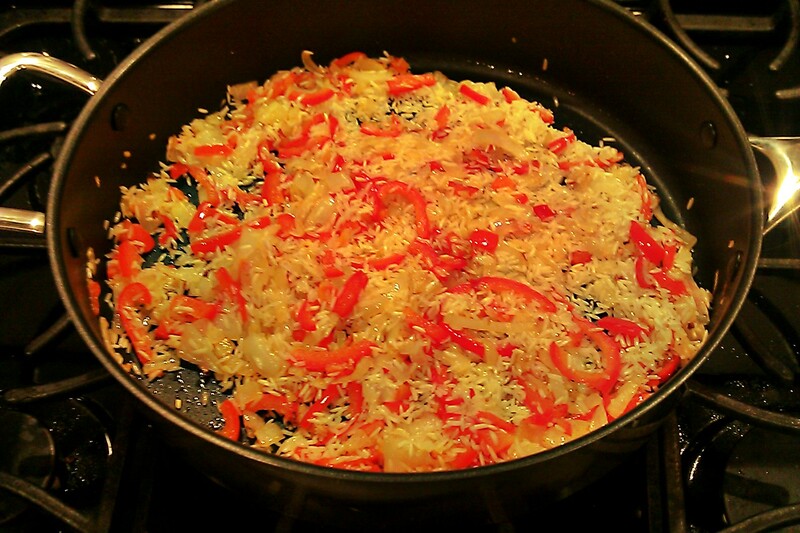 Add bell pepper and onions and saute for 3 minutes. 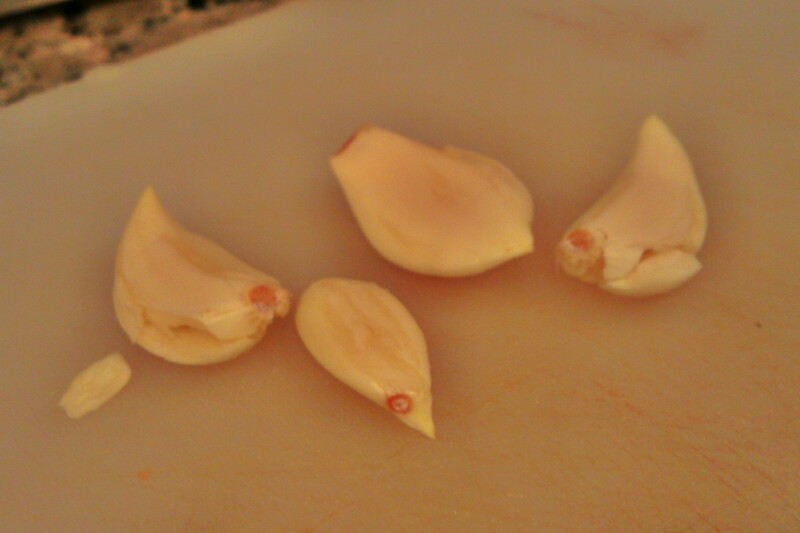 Add garlic and saute for 3 more minutes until it starts to brown slightly. Add the broth, shrimp, scallops, tilapia, pepper and saffron; bring to a boil. Reduce heat and simmer, covered, until broth is almost absorbed and rice is tender, about 15 minutes. Add mussels, cover skillet and cook until mussels open about 7 minutes longer. Discard any mussels that do not open. When I ordered paella at a restaurant, I was told that it’s not served for lunch, only dinner. I really appreciate you posting a recipe for it. I no longer have to wait and can have it at ANY time. Thanks for sharing! You’re welcome! I was surprised that it didn’t take long to make at home and it tastes just as good if not better than the restaurant. This looks yum! 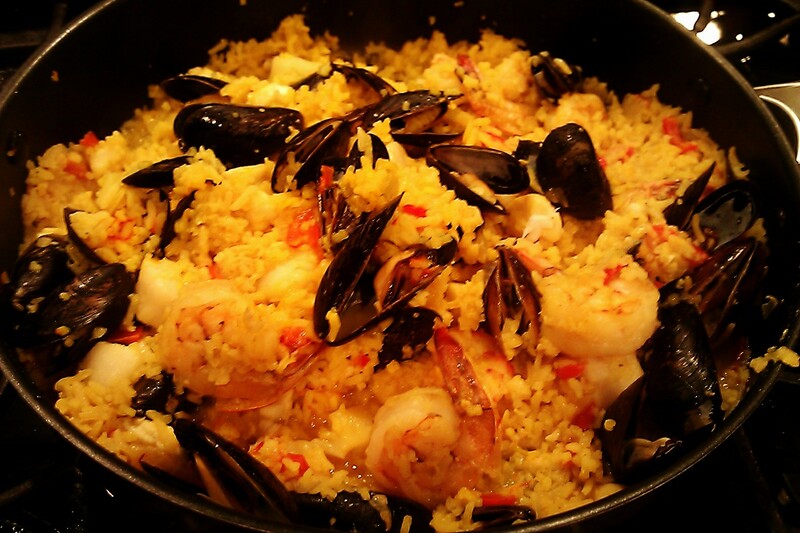 I absolutely love Paella and I have never attempted to make it myself. Nice recipe! Thanks! I was pleasantly surprised how simple it was to make. Will have to make again soon.! Now that looks mouth watering delicious. Beautiful presentation too.